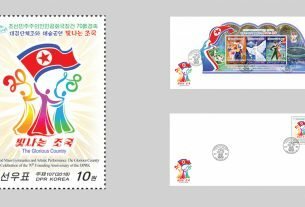 (News from 조선우표사 / Korea Stamp Corporation) A souvenir sheet was issued to show Mohandas Karamchand Gandhi, leader of Indian independence movement. 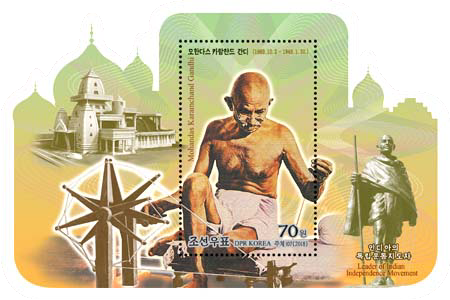 The stamp was printed on cloth-paper to mark the centenary of Gandhi’s Khadi Movement. 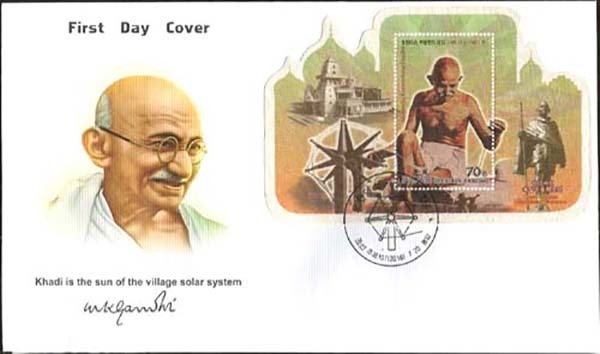 Souvenir sheet Sp5173A: 70 won stamp showing Mohandas Karamchand Gandhi weaving Khadi. I am from India. 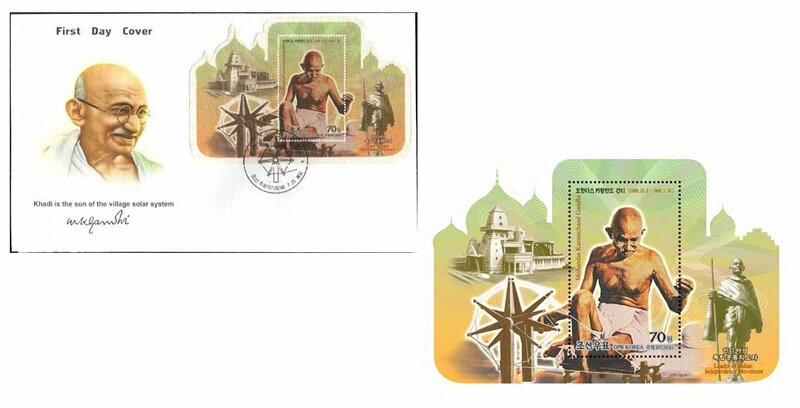 How to get miniature sheet and FDC of KSC5173A. Stock No. : Sp5173A and Stock No. : Fp5173A on online payment. I amalso from India. 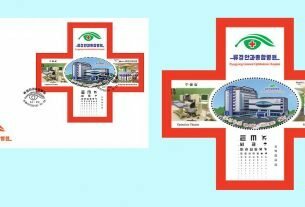 How to get miniature sheet and FDC of KSC5173A. 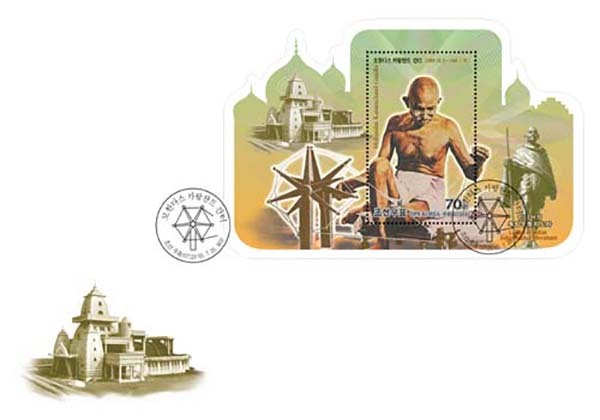 i want to buy gandhi stamps & first day covers. 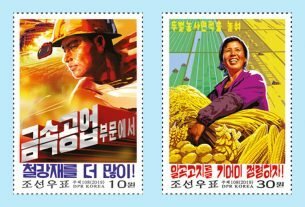 I see in the comments a number of people from India would like the stamps, souvenir sheets and FDC. All of these are currently for sale on eBay. Robert is right. As a matter of fact, with this search on Ebay I could find 10 of these being offered, in one case a selller even offers 50(!) of these sheetlets as one auction item. And by using Ebay you usually have at least one online payment option. This link will take you to the ebay website.